When we conducted our post-conference survey after AdvaMed 2016, 67% of respondents noted that networking with peers is one of their primary reasons for attending in the first place. Another 52% are out to network with clients or prospective clients, 23% were on the hunt for potential partners, 12% were looking for funding/investors, and 14% were looking for something to invest in. That's a whole lot of business development activity -- and that's one of the reasons why MedTech Connect exists. 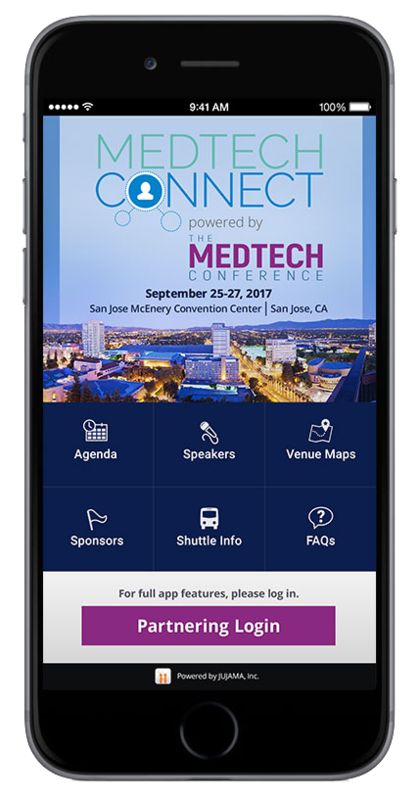 All full-access attendees will gain access when we launch next Monday, August 7, and the team is hosting a MedTech Connect 101 Webinar on Wednesday, August 16 at 2pm ET (register here). The webinar will cover common FAQs, general guidelines on how to use the system, and helpful tips and tricks that will enable you to use the system as effectively as possible. Questions about MedTech Connect? Leave a comment and we'll get back ASAP!